Modern Art Museum of Fort Worth. Urban Theater: New York Art in the 1980s. Exh. cat., China: Skira Rizzoli Publications, 2014, p. 95. Holzwarth, Hans Werner, ed. Jeff Koons. Cologne, 2008, p. 135, illustrated in color. "Auction Reviews - Postwar and Contemporary Art." Art + Auction, July 2006, illustrated. Bankowsky, Jack, Jeff Wall, Alison Gingeras, Thomas Crow, Diedrich Diedrichsen, Tim Griffin, Stephen Prima, & Rhonda Lieberman. “Pop After Pop: A Roundtable.” ARTFORUM, October 2004, p. 167. Deutsche Guggenheim. Jeff Koons: Easyfun-Ethereal. Exh. cat., Berlin, 2000, p. 29 (fig. 11), illustrated in color. Jorg-Uwe, Albig. 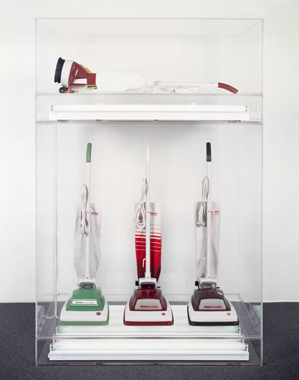 "Jeff Koons, ein Prophet der inneren Leere." Art, December, 1992, p. 55, illustrated. Koons, Jeff. The Jeff Koons Handbook. London: Anthony d’Offay Gallery, 1992, p. 151 (listed). Muthesius, Angelika, ed. Jeff Koons. Cologne, 1992, p. 49, illustrated in color.